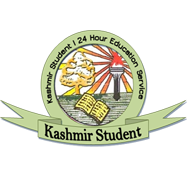 Ahead of Kashmir University Students Union’s (KUSU) announcement of observing “black week” beginning from the eve of President Pranab Mukherjee’s visit, black flags were hoisted in the campus amid authorities turning it into a garrison, witnesses told KD. 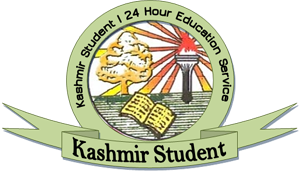 Black flags were seen hoisted on the buildings of various departments which include humanities, pharmacy, law, Institute of Kashmir studies, commerce and boys hostel, they added. According to sources many students had tied black bands on their arms. The police later removed these black flags and in the afternoon conducted raids inside campus, sources said. Many departments like Media Education Research Center (MERC), pharmacy, law and commerce including boys hostel were raided, sources said. “Many boys have been photographed; their details have been given to police. A fear psychosis is prevailing in the campus,” he added. “We have right to protest against President’s visit. These curbs are unjustified,” said, a professor of Kashmir University. Sources said hundreds of policemen are guarding university campus to avoid any “trouble” on the eve of convocation, adding. police is keeping a close vigil on 'suspicious' persons. Dozens of police vehicles were seen deployed around convocation hall where the ceremony is to take place. Pranab Mukherjee will embark his maiden visit to Kashmir after being elected as President of India. He will hand out degrees and medals to outstanding scholars of the university on September 27 during its 18th annual convocation. The banned students union had called for a 'black week' to boycott the visit of Mukherjee.